Are you a fan of exciting horror cinema? Does your top ten favorites include Invasion of the Body Snatchers, Evil Dead, The Fog, They Live, An American Werewolf in London, Gremlins, The Fly, Re-Animator, Night of the Living Dead or 30 Days of Night? 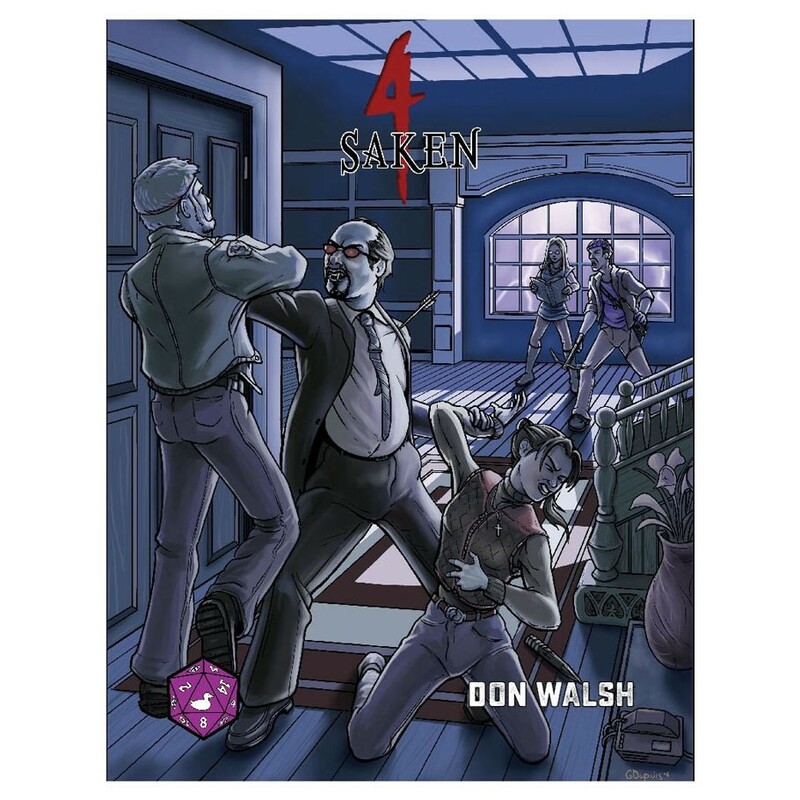 Then 4Saken from Purple Duck Games might just be the tabletop role-playing game for you! Based on the popular 4C System for superhero roleplaying, 4Saken is a toolkit for crafting and playing your own horror-genre games, all nicely contained in less than 100 pages, scary stories and bone-chilling art included! Players take on the role of Survivors, people just a little bit better than the ordinary potential victim strolling around, who get caught up in the strange, mysterious and deadly events that are taking place just beyond the prosaic veneer of peaceful everyday life… which is why the authorities don’t believe them when they say that the mayor is really a supernatural monster wearing human skin!